Have you ever wondered who caters the Grammy Award Celebration and other large formal sit-down dinners? 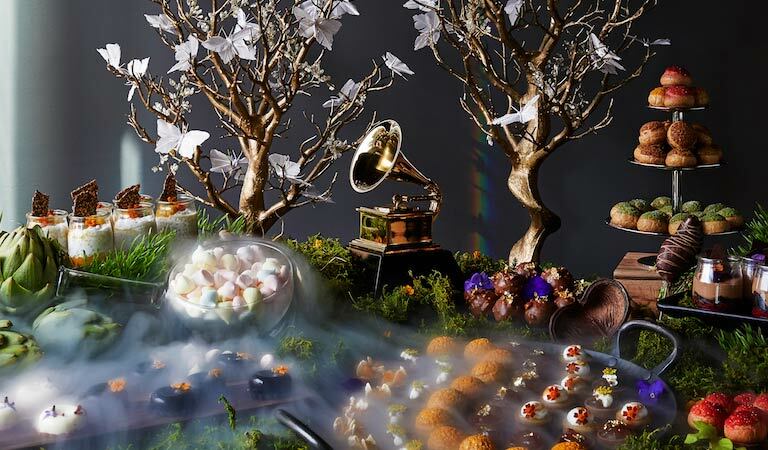 Over the last 20 years, Founder Joachim Splichal and his team at Patina Catering has been the exclusive caterer for the Governors Ball and Creative Arts Ball held for the Emmy Awards. In 2016, Patina Catering took over as the official catering provider for the Grammy Celebration. This marks another major milestone for Patina, who now cater for two of the top three largest dinners in the United States. Do you want to experience the pinnacle of catering for yourself? Not to worry, you can mark your own milestone with a beautiful wedding celebration catered by Patina Catering as well! If you are looking for the perfect wedding catering service, why not choose the best? Along with providing service for major events and awards celebrations, Patina Catering offers top quality catering for weddings in LA and surrounding areas. Our catering coordinators work with you to plan a perfect event and make sure that your special night will be an experience to remember. Patina Catering is one of the premier catering providers on the West Coast, so availability can be limited. Make sure you contact us today to reserve our services for your own wedding!